Construction activity remains low in the medical and healthcare sector, with little sign of improvement over recent months, according to industry data. 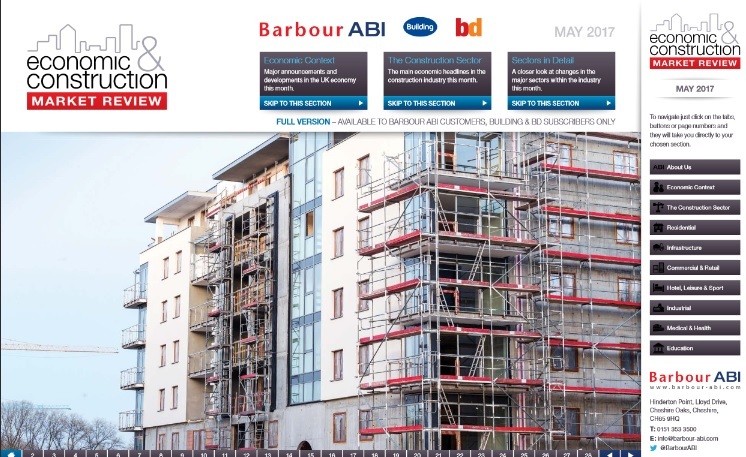 A new report from Barbour ABI looks at construction activity across all sectors and reveals that contract values in medical and health during April this year were down 23.7% on April 2016. Market Review: May 2017 states: “Levels of activity in the medical and health sector decreased by 0.4% in April 2017 compared to March, with the total value of contracts awarded at £84m based on a three-month rolling average. This was 23.7% lower than the values in April 2016. 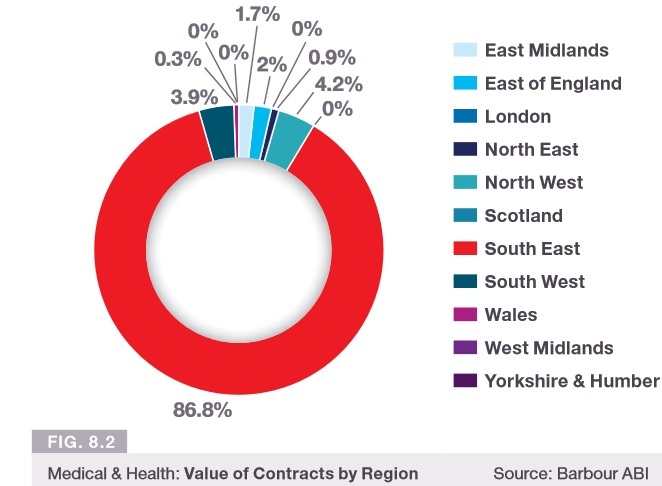 Last month the South East dominated the medical and health marketplace, capturing 86.8% of activity, a substantial increase from the 44.2% in April 2016. This was primarily due to the award for the contract to build a new emergency department at Wexham Park Hospital in Slough. With a construction value of £49m; it is it was the only one in May that had a value higher than £5m. 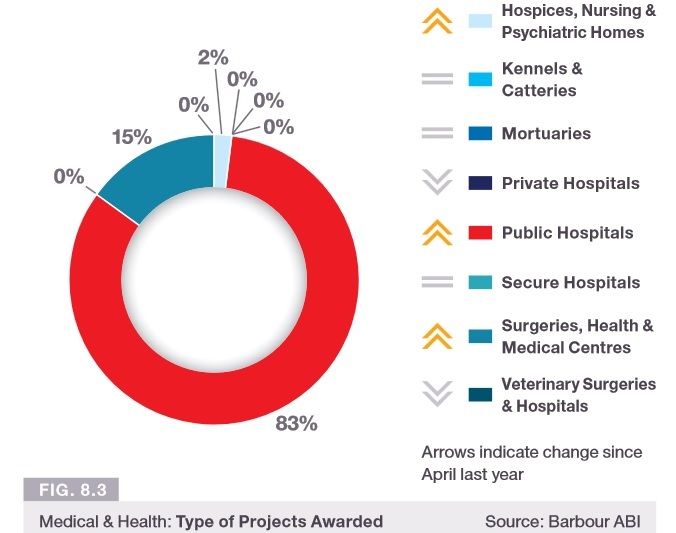 Public hospitals was the dominant sub sector, accounting for 83% of the value of contracts in April 2017, a small increase from the 80% it attracted in April 2016. Medical and healthcare echo many other sectors, with a reported overall decrease in all activity. 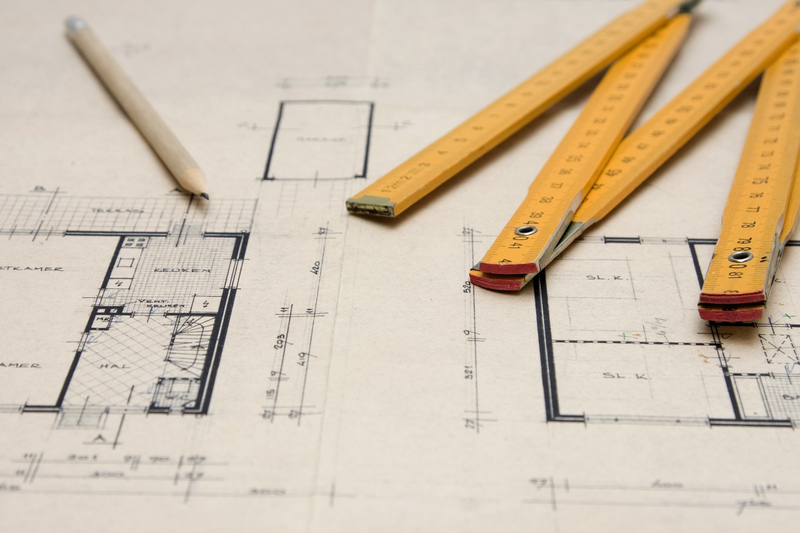 April witnessed a sharp decrease in construction levels, with the overall value of new contracts awarded across all sectors standing at £5.4billion. This marks a 15.9% decrease from March, and a 10.7% decrease on the value recorded in April 2016. 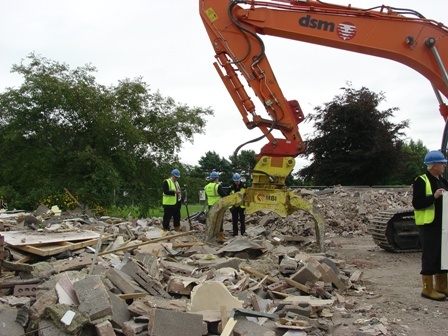 However, there was some growth in the private commercial and private housing repair and maintenance sectors. 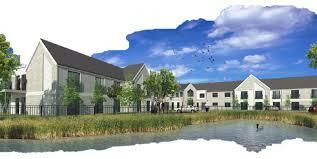 The report also outlines the key clients, architects, and contractors within the sector. BDP and Laing O’Rourke are still winning the most business within medical and healthcare, with the Welsh health board in Aneurin Bevan commissioning the most work.